If you find that you never manage to get everything done, or if your life is a bit disorganised you may find it helpful to make a weekly plan. Here is a very simple (and completely free!) 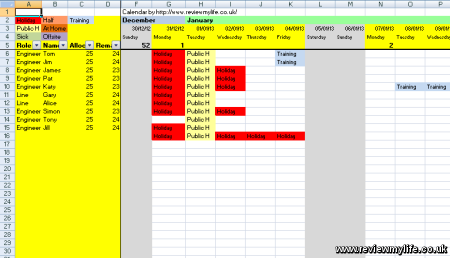 weekly planner in an Excel spreadsheet. The best way to use it is to print out a set of them (the whole week fits on one A4 page) and then at the end of each week plan what you will be doing for the next week.